The Russian Railways state monopoly has failed to raise funds from the state to assist it in implementing large-scale infrastructure projects, leading to CEO Vladimir Yakunin handing in his resignation. Observers point to the inefficiency of the rail behemoth as a key factor in the state’s refusal to loosen the purse strings. The country’s biggest employer, the Russian Railways railroad operator, has failed to secure funds from the state to carry out planned large-scale infrastructure projects. In the end, its former CEO Vladimir Yakunin was obliged to quit, the Vedomosti business daily reported on August 24, citing sources in the Russian government. According to the paper, the company asked for 130 billion rubles ($1.83 billion) in 2016 to maintain its financial stability, threatening otherwise to raise tariffs by 17.7 percent. 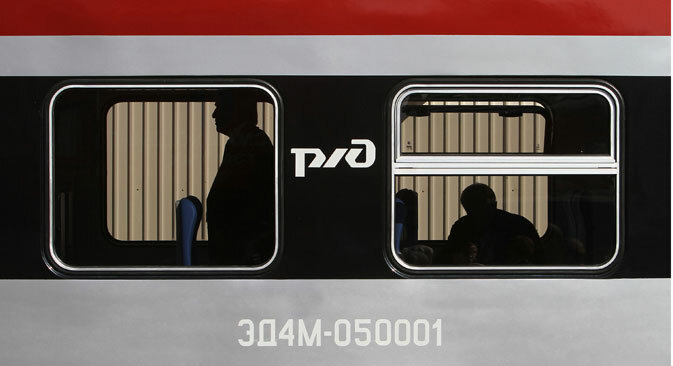 The government responded by suggesting that Russian Railways cut costs, Vedomosti sources told the paper. Experts polled by RBTH point out that despite its ambitious financial requirements, the company demonstrated low efficiency. In 2014, Russian Railways ended the year with losses of 198 billion rubles ($2.8 billion), as calculated under international financial reporting standards. According to Hedge.pro managing director Ilya Buturlin, the company’s operating costs in 2003-2014 grew by 250 percent, while the average speed of freight trains dropped from 39.6 kph in 2004 to 37.7 kph in 2014. “From the point of view of management, Russian Railways is in crisis and the sooner it overcomes it, the sooner this will have a positive effect on economic recovery,” said Ilya Buturlin. In addition, in October 2014 the government drafted key performance indicators for Russian Railways, including quality and operational efficiency, quality of infrastructure and rolling stock maintenance. At the same time, as head of the valuation division at Finekspertiza Alexei Baskakov points out, Russian Railways initiated the launch of infrastructure bonds in Russia aimed to finance major construction projects and advocated the use of pension savings to fund these projects. “This is standard practice for Western countries, where up to half of all savings are used in this way. So for us this is just the beginning. It is quite logical that for the time being these funds are used primarily in the large projects of our monopoly companies. However, in future this money can be used for projects all over Russia,” said Baskakov. In 2014, Russian Railways launched a large-scale program of track refurbishment, planning to repair and upgrade transport corridors from Asia into Europe: the Trans-Siberian and the Baikal-Amur rail lines. This infrastructural development was supposed to become a driving force for developing the country’s economy. To that end, the company asked for investment from the federal budget as well as from the National Wealth Fund, the repository of Russia’s oil revenues. “Without a doubt, railway transport is a key infrastructure link in the economy, it is the blood system and the country’s prosperity and economic growth depend on its effective operation,” said Ilya Buturlin. In April 2015, speaking at a political studies forum in Geneva, Vladimir Yakunin said that Russian Railways employs 1.2 million people, making it one of the biggest employers in the world. However, the figure is not supported by the company’s official reporting. As of late June 2015, Russian Railways employed 800,000 people, making it the country’s biggest employer.